Home » Lifestyle News » Are fidget spinners the new agents of danger? Are fidget spinners the new agents of danger? Are you one of those who is going crazy for fidget spinners? Well, we might have an alarming news for you. According to The Independent, hundreds of fidget spinners have been taken out of supermarkets and off market stalls due to warnings that their batteries could cause choking and internal bleeding if swallowed by young children. Trading standard officers from Bath and North East Somerset Council called for the move as these spinners does not contain any safety information or minimum age. 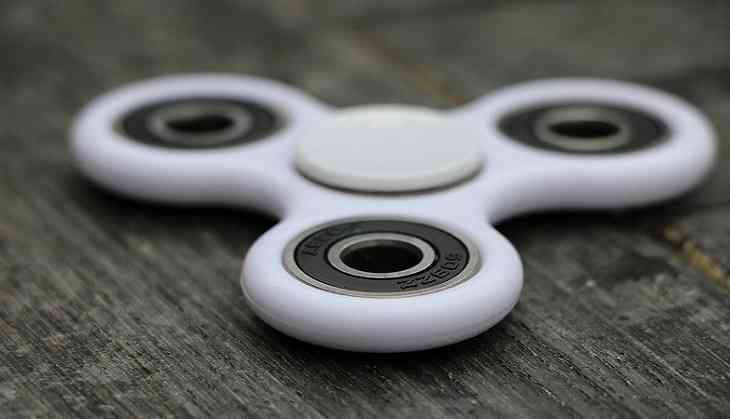 The council also warned about some spinners that featured LED lights with lithium-ion batteries could cause internal bleeding if ingested. Martin Veale, cabinet member for community services at B&NES, said, "Fidget spinners are new and currently very popular among young people. We want to ensure that, when using these devices, young people are safe." He also shared that the trading standard officers have found that these spinners have some really small parts which are really dangerous. "Anyone buying a fidget spinner should purchase it from a reputable trader and ensure the safety warnings can be clearly seen on the packaging," he added. It should be noted that fidget spinners were originally designed to improve fine motor skills in children with autism and other special needs.